The Fremont Family YMCA at 810 N. Lincoln Ave. Fremont, NE 68025, is hosting an Indoor Jr. Tennis Championships on Friday and Saturday, November 14 and 15, 2008. This event is for any unranked junior tennis player who is looking for a time of fun, fellowship, and tennis. The tennis is designed for those who need more on court playing experience. This is NOT a sanctioned event through the USTA, so it will not provide any points toward a ranking. Players interested in this event should read over the Junior National Tennis Rating Program scale to determine which day (category) to play in. Sincere self-evaluation is important in making the experience most beneficial. Friday, November 14 – 2.5 and 3.0 JNTRP: 6-9 p.m.
Saturday, November 15 – 3.5 and 4.0 JNTRP: 2-5 p.m. Participants will play a round robin format including all players registered for that day. 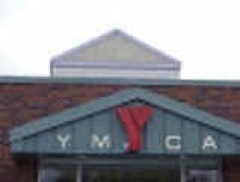 Cost: $12.00 for Fremont Family YMCA Members, $16.00 for non-members. Stop at the YMCA and talk to Johanna for more information, or click Indoor Jr Tennis Championship for an entry form.